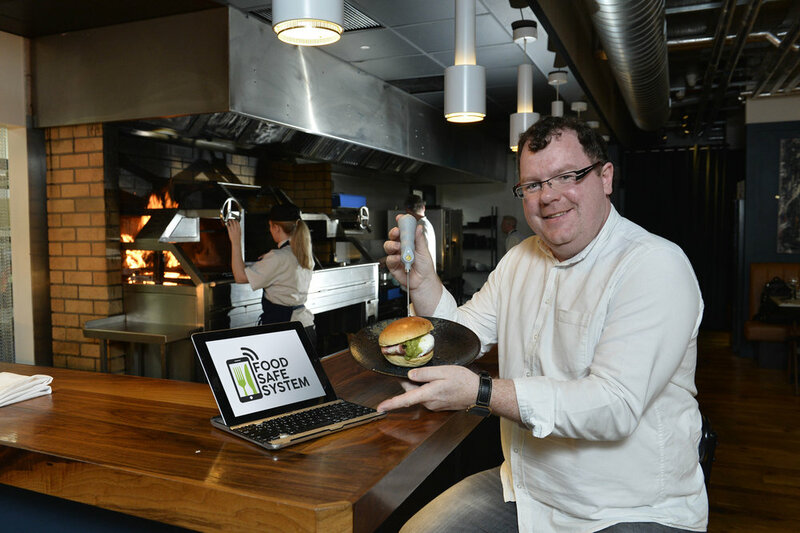 Belfast based firm Food Safe System has launched an innovative new service which could help prevent outbreaks of lethal food poisoning and save businesses hundreds of thousands of pounds a year. The Food Safe System replaces old-fashioned paper-based food safety monitoring with smartphone technology and cloud computing to help prevent food poisoning and food related illnesses. Food Safe System was founded by Neil Bradley, an award-winning chef and restauranteur for over 25 years, when he became frustrated with the old fashioned, paper-based system and the lack of an affordable, usable alternative for adhering to important food safety standards within his own restaurants. Belfast City Council has estimated that food related illnesses affect 11,200 people in the city and costs the economy an estimated £19 million annually. The dangers associated with food related illnesses means businesses in Northern Ireland are required to adhere to strict food safety regulations including, for example, keeping refrigerators and freezers at certain temperatures. The process of adhering to these regulations through manual monitoring and clumsy paperwork can be ad hoc, inefficient and can cost companies thousands of pounds in work hours annually. Human error can also mean companies fail to carry out monitoring properly, which can lead to food poisoning for customers, loss of stock for businesses and heavy fines. "The hospitality industry is booming in NI and we have some amazing restaurants and bars here. At Food Safe System we’re very lucky to already be working with some of the best in Belfast. “Food Safe System can be adapted to the needs of each company and has been designed to make life easier for our customers so they can focus on doing what they do best by providing top quality service to their customers with complete peace of mind."